Most of us go through a stage in our lives where we live in a home that’s a little, well, cosy. There’s no shame in living in a smaller space, but it can begin to feel slightly on the cramped side, particularly if you’ve packed it with décor or are sharing it with a flatmate. If you’d like your home to feel slightly larger but don’t have the means to move into a more spacious flat, use these low-cost interior design solutions to make a change. Use the famous mirror trick. The use of mirrors in small spaces is a well-known interior design trick because it works so well. 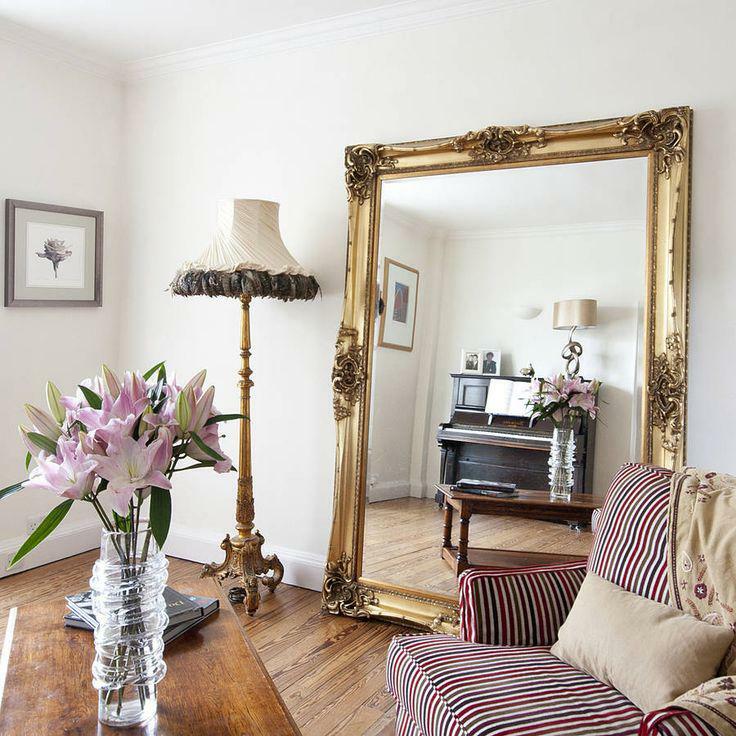 You can buy large mirrors perth to decorate your walls for an instant optical illusion of added space. The mirror will also bring more light into the room, brightening it up without crowding you further like some décor could. Choose your lighting wisely. Overhead lighting tends to create a specific pool of light in just the centre of the room. When you use table lamps and standing lamps in a range of sizes around the room you create a more diverse effect and attract the eye around the space. Play with the proportions and styles of the lamps to get the look you want for your particular décor style – just aim to light them up with eco-friendly bulbs so you don’t waste too much energy. Opt for a light and breezy colour palette. Dark shades can be wonderful on walls if you’re working with a big property, but in smaller flats it’s best to keep the shades pale to create an atmosphere of light airiness. Use light colours that reflect the sun and keep the window area clear to allow the sunlight to stream in as often as possible. Utilise storage solutions. Storage is your best friend when you live in a tiny flat. You probably don’t have the space for big cupboards, so stacked boxes, coffee tables with drawers, and ottomans that open up to hide secret storage spaces will serve you well. Shop for inexpensive storage solutions and keep everything neatly packed away to make the most of the space you do have. Opt for statement furniture. Having several smaller furniture pieces in a room can actually make it look less spacious and more cluttered. Choose large statement pieces like a big colourful sofa if you want to open up your living room, and keep the décor toned down to avoid creating a busy and chaotic design look in the space. Create a coherent colour scheme. Most of us don’t go for the matchy-matchy look these days, but that doesn’t mean everything needs to clash. Picking a primary colour and then working around it with a variety of shades will give your home a cohesive look that makes it feel more spacious and clean. Design rooms within your room. Even a diminutive space can be divided up into smaller sub-rooms to make the flat feel bigger. Make use of a corner by placing a desk and comfy chair there for your own little workspace. Add smaller rugs around the room to divide up the space so that the visitor’s eye is led around into various areas.